Printed electronics are used in more products today than ever before, as technology continues to advance and inkjet printers become more capable of printing electrical circuits faster and at a lower cost. Product designers and engineers rely on printed electronics for flexible screens, intelligent labels and packaging, OLEDs, medical devices, wearables, and other products. But, it can be just as challenging to choose the right printed electronics for your product as it is to design and develop a product itself. Continue reading to learn more about these considerations and criteria and to better understand the process of choosing the right printed electronics for your product. 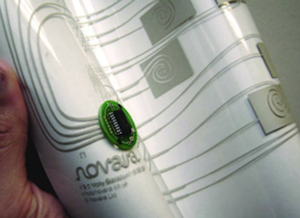 Printed electronics are advancing as demand for more flexible, wearable products increases. For example, smart clothing and wearable medical devices have increased the need for flexible, stretchable electronic ink materials. 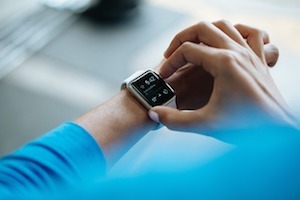 If your product must be flexible or stretchable for clothing or wearables, you must consider printed electronics that allow for those features. Stretchable electronic inks, in particular, are ideal for embedding electronics in clothing. Thin, form-fitting circuits easily are fused with standard fabrics and allow for comfort and freedom in wearable electronics design. Wearable products featuring stretchable inks provide stable performance over time. Smart clothing with the appropriate stretchable electronic inks also is washable and durable. On the other hand, if you are designing products such as OLED panels, solar cells, printed antennae, and touch panels, you will need printable electronics featuring conductive inks that offer the high conductivity and strong adhesion that is required for rapid digital design, prototyping, and full-scale manufacturing. Some conductive inks are adapted to non-planar printing, which enables product designers to use them in emerging applications. Some non-planar printing techniques allow for smooth, curved surfaces that print smoothly and are ideal for aerodynamic models such as airplane wings. Additionally, non-planar printed parts are stronger than planar parts. Electronics may be 2D printed or 3D printed, and product designers and engineers need to consider the benefits and challenges of each type when choosing the right printed electronics for their products. 2D printing technologies are appropriate for screen printing, automatic conductive paste deposition systems on a flat surface, laser printing, thin film deposition, and solution-coated OLED fabrication. These printed electronics processes are ideal for flat surfaces and cannot be applied to substrates featuring contours or multi-axis dimensions. Product designers must consider that 2D electronic fabrication methods are reliable, fast, and typically less expensive than 3D electronic printing methods. They also should keep in mind that 2D printed electronics may be flexible by later deforming the flat substrate and making the electronic circuit a separate component of the final product’s structure. 3D printed electronics, on the other hand, may contain embedded objects with wire and circuitry within the structural materials. As a result, products containing 3D printed electronics may be smaller, lighter, more efficient, and more customized. 3D printed electronics include silver pastes, silver-based gels, and nano-particle graphene substrates that can reduce cost, increase conductivity, and increase the reliability of products. As researchers continue to develop ways to print electronics using various materials and processes, cost fluctuates for product designers and engineers looking to apply various printed electronics to their products. Low-cost printable electronics fabrication is under study by NASA, which is developing a new way of using atmospheric pressure and a plasma-based process to create printable electronics and functional coatings. The goal is to create a low-cost printing process that enables high throughput and printing and patterning that is scalable for industrial production. Commercial applications for this process include biomedical technology, consumer electronics, e-paper, security, and communications. Stamping electronics using nanotubes is another cost-effective printed electronics process that product designers and engineers should consider for their products. An MIT engineering team invented this fast, precise process that involves using a stamp comprised of carbon nanotubes that print electronic inks onto rigid and flexible surfaces. Designers and engineers may make use of these printed electronics for using tiny transistors capable of controlling individual pixels in high-resolution displays and touchscreens and for other electronic surfaces. Finally, printed electronics using printed graphene treated with lasers for paper electronics is a low-cost option for product designers and engineers looking to create flexible, wearable products. Inkjet-printed graphene already is being used to create sensors with biological uses, energy storage systems, electrical conducting components, and paper-based electronics. Product designers and engineers looking to choose the right printed electronics for their products would be wise to consider the purpose of their products, 2D printed electronics versus 3D printed electronics, and cost. Advancements in printed electronics are being made more often than ever before, so designers and engineers also should keep up with the latest news and research on printed electronics.